I’m glad to report that the bipartisan Clay Hunt Suicide Prevention for American Veterans Act, was signed into law today. It is named after Sgt. Clay Hunt, a Marine who suffered from depression and PTSD; he took his own life in 2011. The President’s full remarks here give the background of Clay and I found them sad and touching. Secretary McDonald’s remarks are also recommended reading here. The VA is creating meaningful and thoughtful materials. There is a brief, perfect PSA video called the “Power of 1” on youtube in which a Vietnam Veteran reaches out to a depressed younger veteran. 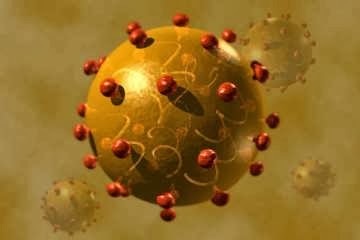 And this is a great image. We certainly practice the “power of 1” here on this small weblog-support group called ASKNOD; every comment, post, star, like, and words of encouragement are so valuable to us all. I see signs like these that lead me to believe that the VA is “getting it” and that it may turn out to be an institution President Lincoln would be proud of. I like the direction and organization that Sec. McDonald is applying to the VA because there is so much work to be done. President Obama finishes up his remarks echoing the theme of mutual support. So we’re ready to help you begin the next chapter of your lives. And if you are hurting, know this: You are not forgotten. You are not alone. You are never alone. We are here for you. America is here for you — all of us. And we will not stop doing everything in our power to get you the care and support you need to stay strong and keep serving this country we love. We need you. We need you. You make our country better. So I thank all of you. God bless our troops, our veterans, our military families. God bless the United States of America. Isn’t it great that our younger veterans will hear words of understanding and kindness denied to their elder veterans? 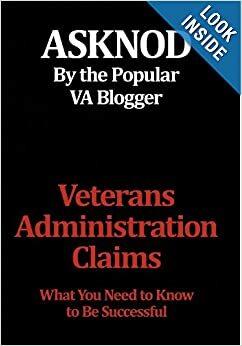 This entry was posted in Guest authors, PTSD, VA Health Care, vA news and tagged ASKNOD BOOK, asknod.org, asknod@wordpress.com, Disabled Veteran, DIY vA Claims, Gulf War Claims Help, Gulf War Vets Help, HCV Veterans, HCVETS, Korean War Vets Help, VA claims, Veterans Benefits, Veterans claims help, Vietnam Veterans Claims Help.. Bookmark the permalink. I am seeing positive changes at the VA. Secretary McDonald is the real deal. Glad to see that Congress did something positive. Appreciate all your work and hope that the positive VA movement continues. All our veterans from all our wars deserve more than the USA government has shown them in the past. Your hard word and dedication is much appreciated by my husband, a disabled Vietnam Veteran as well as by me.